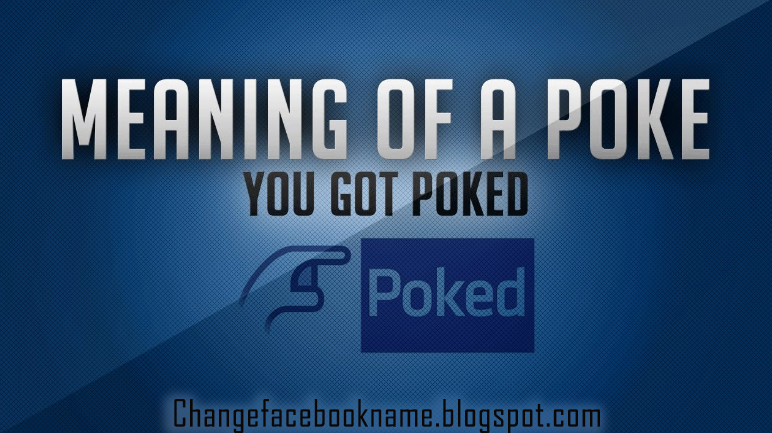 Poke You on Facebook: Facebook poke is something you can’t avoid especially if you are versatile on Facebook, some of your friends may have sent you one and you felt like “what is this”. Don’t worry, this article will educate you on what exactly Facebook pokes are and their importance to the social media network. The first thing you should learn about Facebook poke is that it is a Facebook application which is a part of Facebook itself, all accounts has it and can be a very useful tool to many Facebook users. When you receive a poke from friends on Facebook, what it literally means is “Hello”. Poke is fast way of greeting someone on Facebook rather than typing long texts in messages, it can also be used to check up on someone in order to suggest to the person that you are actually thinking of him/her. Go to the individual’s profile page. Tap on the "…" icon just below the cover photo of their profile. Now select the "poke" option from the drop down menu. A window will then appear to inform you that you have successfully poked the individual. But how can you determine if you have received a poke from a friend recently? A notification will be received at the notification tab, you will notice a thumb up hand figure, and this represent a poke, just in front of it will be the name of the person that just poked you. You can decide to accept the poke by poking back or you can as well reject by deleting it from your notification list. Note that it is actually impossible to poke an individual twice, not until he/she has returned your poke by poking back or sending a message back.